Hello!! 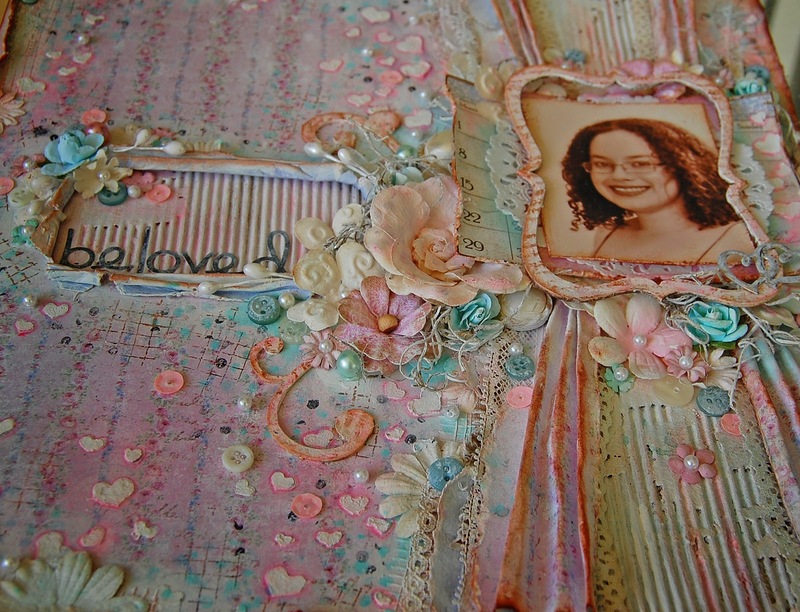 This is my second post today, my previous post were photos of my Maja Design classes at the Scrapper Place Event that you can see it here. Here's a layout that I made with the Gorgeous Sofiero collection by Maja Design....Sofiero has these beautiful soft colors and beautiful designs that I love it!!! This page has many techniques and it's full of textures! 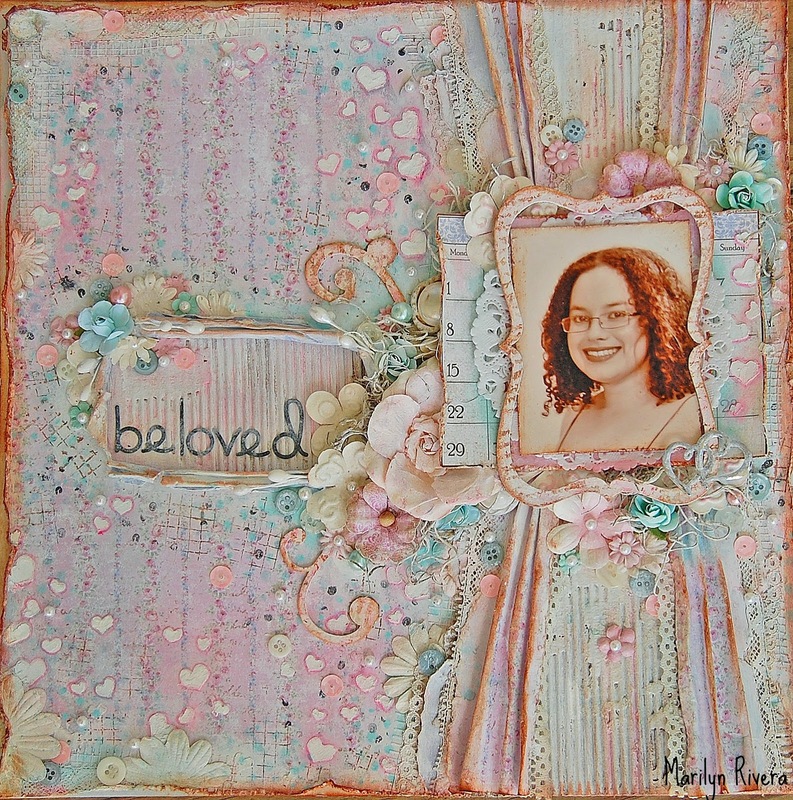 I added a paper from the Vintage Spring Basics collection to mat my photo. 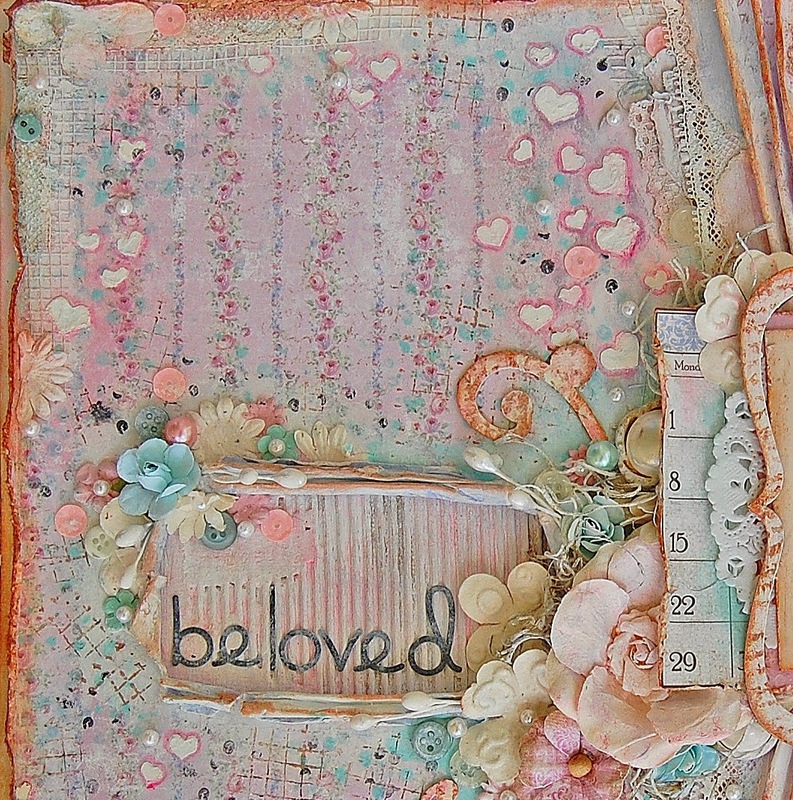 I'm playing with this page in Scrap Africa-Distress challenge, well I did many different distress techniques in this page, I distressed with my scissors, I tried with a knife,too, but the fun part was the chalk distress. 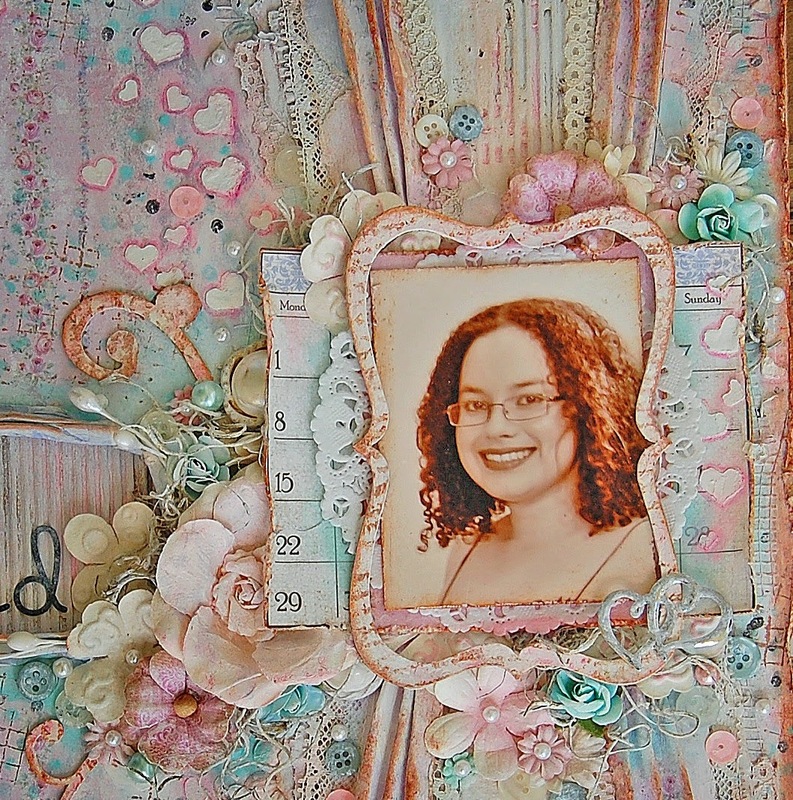 I added texture to the background paper" The Magnificent Flowerstreet" with a mask by Heidi Swapp (hearts) and molding paste, then I added some mash tape, lace, flowers to the borders of the papers then I applied gesso and painted with Shimmerz paints. I made a design, draping the paper and putting my photo as the focal point with a chipboard frame that I painted with gesso, Shimmerz and then stamped with Distress Ink. Thanks for stopping by and I hope this inspire you!! Wowee, how gorgeous is this! I love your use of colours and all the super pretty little details that you added. Just love the sequins and hearts! Me encanta!! Wao, tiene tantos detalles! Los colores y el diseño me gustan mucho. 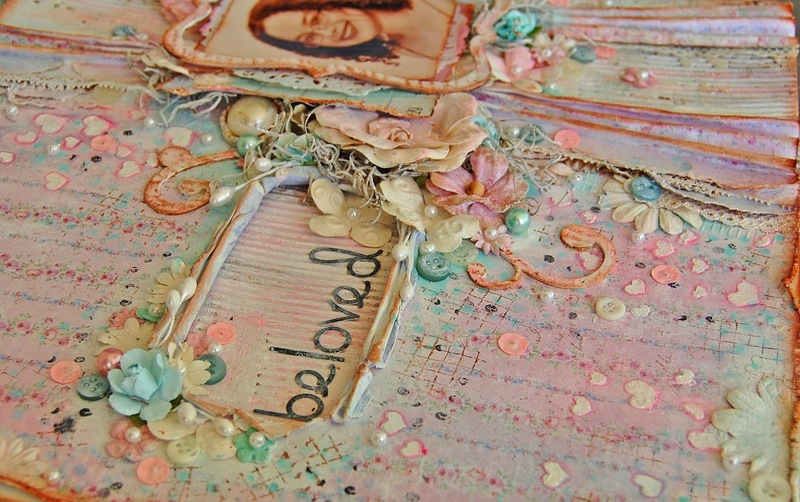 Absolutely stunning,, so very pretty, and love the soft colors.. your distressing is amazing too..
Oh my, this is fabulous!! I love your style - it is so unique and beautiful! Gorgeous layout!! Thanks for playing along with us at Scrap Africa! This is just beautiful I agree with Marta it is a pleasure for the eyes... beautiful photo too. THanks for playing along with us at Scrap Africa. A beautiful page, so soft & feminine. Thank you for joining us at Scrap Africa.